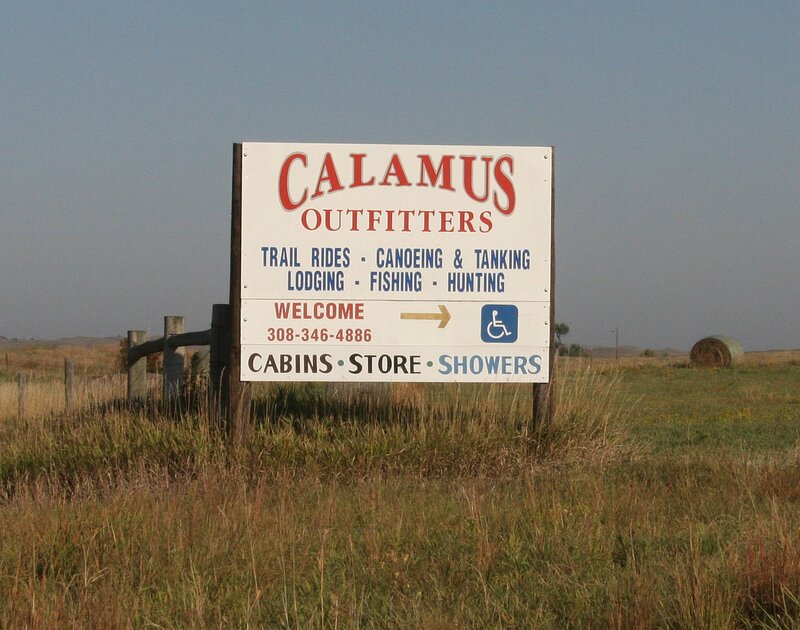 Calamus Outfitters is a working sandhills ranch, comprised of sandhills prairie, plus meadows and marshes. The Calamus River and Calamus Reservoir State Recreation Area are nearby. On-ranch activities are offered. These include guided prairie chicken and sharp-tailed grouse tours mid-March to May, ranch tours, and interpretive nature trails year around. Other activities include horseback riding, canoing, floating in horse tanks or tubing, plus campfires and star-gazing. Some of the other major birds include bald eagle, golden eagle, long-billed curlew, screech owl, barn owl, burrowing owl, many water fowl, and song birds. Lodging and meals are available on-ranch by reservation. There is also a general store. There is a nearby prairie dog town.